You can not do without them! You nice looking brochure, the compelling leaflet and even a cool template for a website need nice looking photographs. But where do you get these images? There are several options to get these images. Of course the easiest one is to type in some keywords in your favorite search engine. Looking at the images results for your query you will find an overload for images. But most of these images lack the quality you are probably looking for. 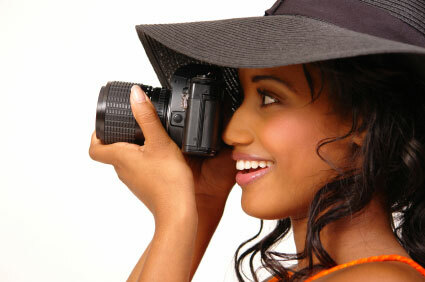 Another option is to take your digital camera and shoot the photographs your selves. I think this is for most of the users the hardest way to follow. You should be handy with the camera and even more with software products like Photoshop. With this software you will turn your best shots in the most attractive photographs. But this takes a lot of time. If you are aiming for a high quality images and get them fast you need to take a look at Online Stock Photography. These are large online resources for high quality pictures. 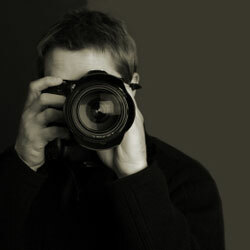 There are several different Online Stock Photography sites available. You have the large ones like iStockPhoto , Shutterstock and GettyImages. These are probably the most popular Stock Photography sites available. Stock photography is the supply of photographs licensed for specific uses. The listed Online Stock Photography sites do offer a huge amount of photographs in different categories. For me there is always an image that I can use. And mostly reasonable priced. This price depends of course on the quality and the size of the image. When you want to buy a certain image from the stock library, you can mostly choose from different sizes. For my website templates I can stick with the smaller images that fit in the lowest price ranges. And the nice part, i can browse and shop online. Select the images to be donwloaded, use your credit card and bang you have the images you want. There are also Online Stock Photography libraries on the internet that are on one special subject. For instance on topics like travel or aerial. If you shop online for your photographs it must be clear what you want to do with these images. Not all images are free to use in every product you want to create. Please check if you are buying those royalty free photographs. And check for every different Online Stock library if the images you buy are allowed to use in all different product types like internet, brochures and books. This page with information on Online Stock Photography is created with care. We try to get this page updated as soon as needed. If you see something that is incorrect or incomplete, please let us know. So we can update the page. All rights reserved. Wil je informatie over een software review aanleveren of je ervaringen met een hosting organisatie delen? Neem dan even contact op met de webmaster. Na een positieve beoordeling zal informatie worden geplaatst. Wil je een advertentie laten plaatsen op een van de verzorgde online publicaties? Neem dan even contact op met de webmaster en zie overzicht van advertentie netwerken waarmee we samenwerken.